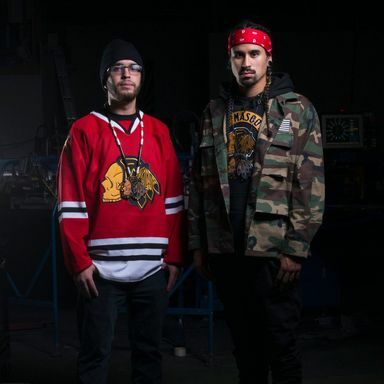 Returning to Montreal after an electrifying Lux Magna performance are the Snotty Nose Rez Kids (SNRK), an Indigenous hip hop duo currently based out of Vancouver, BC. Proudly hailing from the Haisla Nation, SNRK creates music that pays homage to their upbringing on the Rez in Kitamaat Village while cleverly addressing larger themes related to Indigenous identity, politics and resistance. After filling the Sala Rossa with magic in January, they’re back with a brand new album.